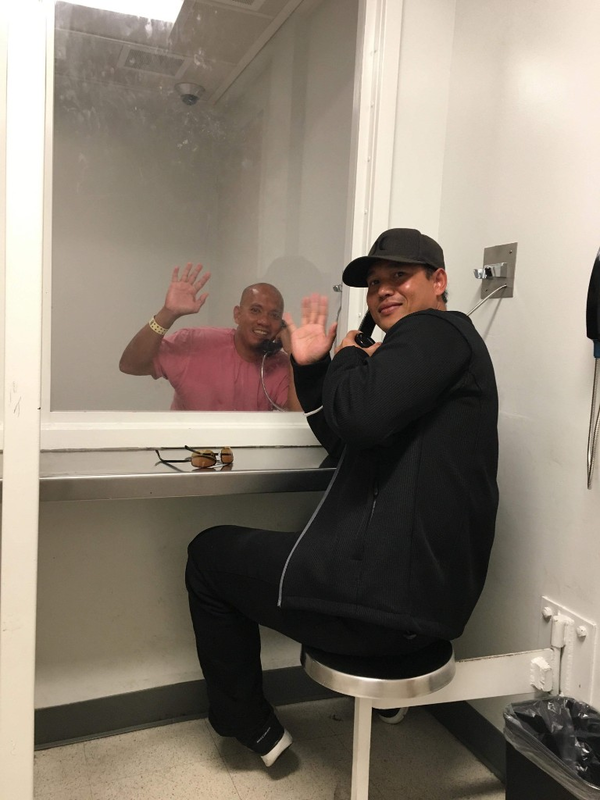 The mission of the Asian Prisoner Support Committee Is to provide support to Asian and Pacific Islander prisoners in California and to raise awareness about the impact of incarceration on our communities. Co-directors Eddy Zheng and Ben Wang talk about their work with the APSC. The ROOTS crew outside of San Quentin after a session on Mien culture, history, and storytelling. What led to the founding of the Asian Prisoner Support Committee? What draws you to the work on a personal level? Ben Wang: In 2002, there were three Asian American leaders incarcerated in San Quentin who were advocating for the prison to offer Ethnic Studies and culturally relevant educational programming. They were punished for their advocacy by being sent to solitary confinement, transferred out of San Quentin, and facing longer sentences. Their actions affected their parole board hearings. The Asian American community in the Bay Area, including well-known Asian American activist and radical leader Yuri Kochiyama, rallied around them. 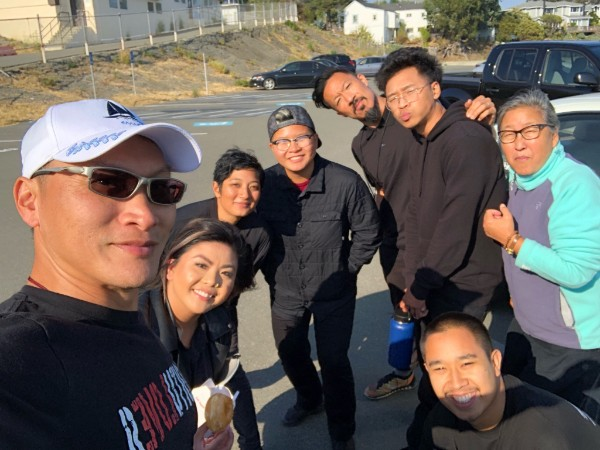 Through support and collective action, the Asian American community applied pressure to the system and the three leaders were released from solitary confinement. From this one case, the Asian Prisoner Support Committee developed. Today, 16 years later, APSC has evolved to address mass incarceration, anti-deportation defense, and crimmigration work, and we center the voices of incarcerated and formerly-incarcerated people. Some of my relatives were incarcerated in World War II internment camps. In the Japanese-American and larger Asian community, that history is discussed, but it’s seldom connected to current issues of race-based incarceration. Today communities of color, including Asian and API folks, are disproportionately targeted and incarcerated. There is a historical connection between what happened to my relatives and what’s happening today. There is an opportunity for solidarity around immigration and deportation in particular. Eddy Zheng: I was one of the original three prisoners in San Quentin, and it was deeply heartwarming to see the community rally behind us. We have a cultural stigma about incarceration, I felt at first that I was alone. When the community came together, it helped me overcome that feeling of isolation and shame, and some of the pain of being in solitary confinement for 11 months. In 2013, we started rolling out our ROOTS (Restoring Our Original True Selves) self-help program, which was the first culturally-competent program for incarcerated Asians in California. We lift up personal narratives to heal intergenerational trauma. We empower individuals to heal by learning about their cultural heritage and history and aligning with their cultural identity. We humanize each other and build solidarity. The program has been underway for five years in San Quentin. We recently ran a pilot program in Solano, and we’re in the process of working with the administration there to roll out a longer program. How does APSC affirm and celebrate the collective memory, shared histories, social identities, and cultures of Oakland’s communities of color? Eddy Zheng: When I first immigrated to this country, I settled in Oakland near Chinatown. And today, some of the work we do to support formerly-incarcerated people in their re-entry process engages the community of Chinatown. We are intentional about cultural immersion to help people feel connected again. We also try to engage other people who may not be familiar with the struggles that API and the Asian community faces due to the impact of immigration and deportation policies. We partner with other organizations such as CURY-J, the East Side Arts Alliance, and AYPALto provide education and advocacy around these issues. We also work in partnership with Asian Health Services on the Chinatown Ambassadors program. The program engages homeless citizens and supports them to get involved in the community by cleaning and beautifying the streets. The Asian community in Oakland has a great deal of connection with all communities of color. We have a shared struggle for human and civil rights in America, and that shared history and understanding creates a deep feeling of solidarity. Historical racism affects us all. Ben Wang: This year, we had a big campaign to support a Cambodian man, Borey “PJ” Ai, who was facing imminent deportation after his release from incarceration. ICE threatened to deport him to Cambodia, where he has never set foot and has no connections. Supporters sent over 25,000 emails and letters, and he was released by ICE. While he is still working through the legal aspects of his case, the success of the campaign was an amazing win and an inspiration. Our focus in this upcoming year is on healing for our staff, our volunteers, and the people we work with. We want to help create a culturally-relevant model for healing from trauma. Many formerly incarcerated people have PTSD and other mental health issues from the trauma they experience while incarcerated. We’ve been developing ways to support one another through culturally relevant activities such as dance, music, and healing circles. And, we’re very proud and excited to be celebrating our 16th anniversary on October 25th. Learn more about APSC here.